Come out Saturday, August 19, 2017 to help Good Chemistry participate in the oldest one-day HIV and AIDS fundraiser in the Rocky Mountain region. 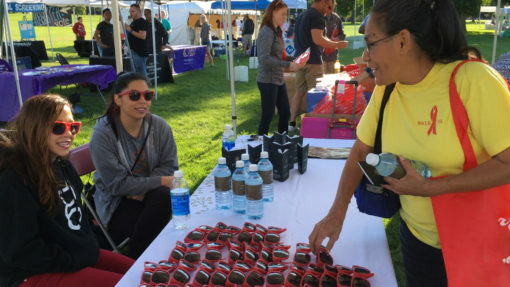 A Walk For Life helps to raise funds for services to support those inflicted by AIDS/HIV, including Colorado Health Network’s regional Colorado AIDS Project and Howard Dental Center, among others. A Walk For Life takes place on Saturday, August 19, 2017 from 10am-3pm at Cheesman Park in Denver. The day will feature speakers, entertainment, food, beverages and the 9th annual AIDS Walk Colorado Volleyball Tournament. Be sure to stop by our booth to say hi and pick up some merch from the Good Chemistry team. The 2016 Colorado AIDS Walk had an incredible impact on those afflicted, and we hope to surpass last year’s amazing turnout. We hope you will come out and join us for a day of festivities, food, and most importantly fundraising for this important cause. Click here for more information on the Colorado AIDS Walk – A Walk For Life. Learn more about other causes Good Chemistry supports, and how you can contribute.